Your brain can melt trying to keep up with the endless torrent of video content on the web each day. 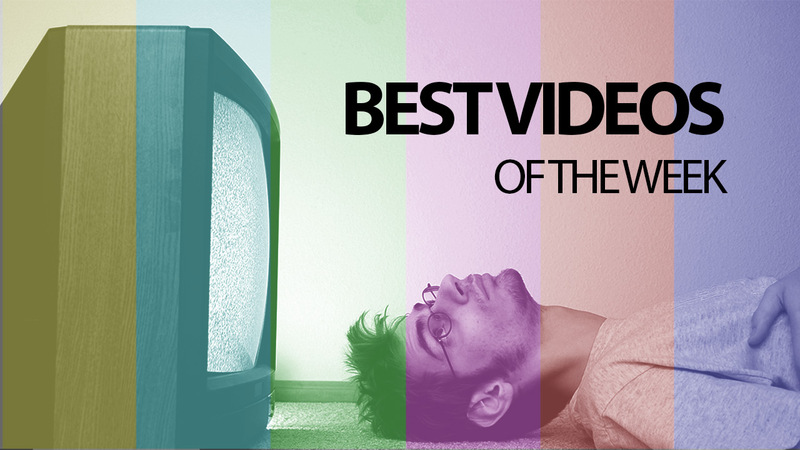 That's why we are here to ease your fatigue with the best videos of the week. Enjoy! If you have ever seen an Alan Rickman movie, you know the dramatic weight he brings to pretty much every gesture and utterance he delivers on screen. Now imagine that in aggressively slow motion. Or better yet, watch it. When blasting through a mountain of email in the morning you probably never stop to ponder just how each message gets delivered to its recipient. But in an effort to highlight the company's green initiatives, Google has put together a lovely animation detailing The Story of Send. Ugh, when you're 16, adults are just the lamest. But these high schoolers have no idea just how cool their teachers are. Seriously, the kids are completely oblivious- as they're interviewed on camera, their instructors are dancing around behind them. Science videos can be difficult to understand, badly produced and and slow-going. Not this one, because really it's just a compilation of cool fluid dynamics phenomena, stitched together into a wonderful, mesmerizing three minute clip. Maybe you're bored with your remote control. Maybe you have delusions of being an actual, spell-flingin' wizard. Whatever the reasons may be, the Kymera Magic Wand remote exists, and aspires to make your television watching a little more magical. Is it just a bunch of hocus pocus? We have a sneaking suspicion that slingshot master Joerg Sprave might be losing his mind. But we're not going to do anything about it, because it fuels ridiculously awesome creations like this drill-powered Steaksaw featuring a cutting wheel covered in serrated kitchen knives.